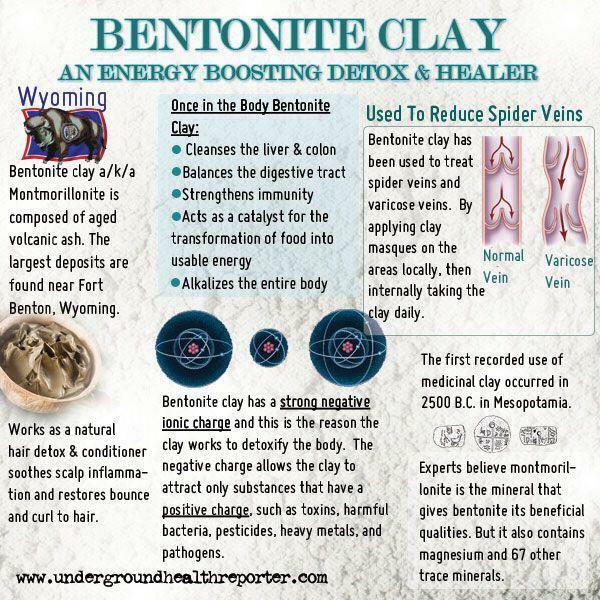 Bentonite Clay is an EXCELLENT detoxifier to help rid the body of heavy metals and other toxins. It also helps to alkalize the body. As I mentioned before, cancer and other illnesses thrive on an acidic body, yet can not survive in an alkaline body. That’s why we always hear “eat your vegetable,” because most veggies, especially the dark green, leafy vegetables are alkaline in nature. Nice, Diane. I JUST bought this from Amazon to make up a facial clay masque not even knowing all these great benefits! It is really easy to mix this with cider vinegar and use. Thanks, sweetie. I will use it even more often now!